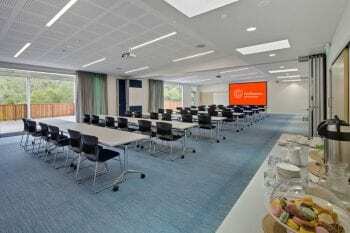 Myhorizon Events Centre in the heart of Redland City is the perfect place to host your next event. Completed to the highest building standards, our air-conditioned rooms and outdoor spaces blend in perfectly with the natural environment and come equipped with the latest audio-visual technology to ensure your event is a success. Combined with our abundant on-site parking for guests, our venue is suitable for everyone and every context. Myhorizon’s Event Centre is a Social Enterprise of Myhorizon. All profits made from our Event Centre are invested back into our Social Enterprises division to provide supported employment to people with disability.